Did you ever day dream of days of yore, and wonder what life would be like in a simpler society. One where family and honour meant something. Perhaps you dreamt of taking arms against the oppressor, living like a Lord; or perhaps you wanted to try you hand as a craftsman in a village. We did! Fortunately we were able to do something about it. Regia Anglorum is a huge family of like minded people who enjoy this life; whether it&rsqup;s donning armour and fighting the good (or bad) fight, or the more peaceful existence of everyday folk. Regia is not just about the violence and bloodshed of combat and the arena presentation. Regia Anglorum lives the history of the period. We have a large Living History Exhibit (LHE) at most shows and here you can live the life. It is an area where the warriors relax; but also where the craftsmen show off their skills. Around the exhibit you will find small wics; – groups of members of Regia working together as an extended family much like the villages of 1000 years ago. It is constant bustle; the cooks; the weavers; the wood-turners; the preachers; warriors showing off their latest wargear acquisition. A great place to be and a perfect place to pass our great knowledge to members and visitors alike. We use tents as an alternative to carrying our own houses around – while these are not 100% authentic they give the feeling of the village and also somewhere for the LHE crew to sleep and relax – and more practicable to building an authentic hovel wherever we go. Many find that living on the LHE is one of the greatest benefits of working on the LHE – the sense of family in most wics is immense. Power does not come from nothing! The lords and ladies you will see around the society have risen through the ranks from a mere slave through to a mighty noble. In doing so you experience the fullness of what the society can offer while giving you ample time to develop your skills and costume; and more importantly to develop a well-rounded character. Whether you are an accomplished woodworker or a complete novice klutz then you are welcome on the LHE. Pass on your skills to those who want to learn; or pick up a skill from those who want to teach. and many more crafts of a bygone age. You will learn many skills during your membership of Regia and this is one place to show them off. However if that isn't for you then feel free to come on the LHE and play authentic games; man the armoury; tell war stories; help out in the kitchen, or even just show people round – enjoy the life of the LHE. Our basic tenet is authenticity. To this end we will not portray any image, support any ideal, or make any item of equipment which we cannot provenance from contemporary sources. It might sound hard, but there are lots of knowledgeable people in the society ready to help you out. From our experiences, we are certain that no other society from our period of interest takes this matter as seriously. All this authenticity may sound like a bind, but as long as members check with a group “Authenticity Officer” before making or buying kit, it should not be a problem. 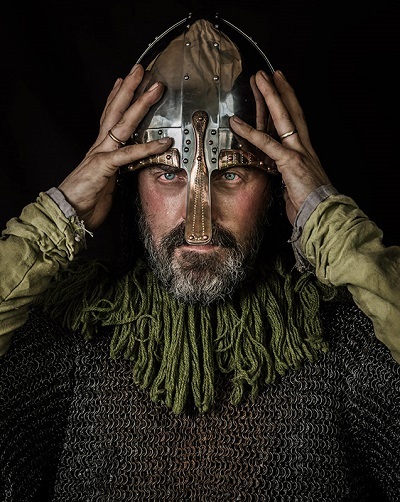 From the newly joined peasant in his (or her) scratchy woollen tunic, to the top-class, maille-clad warrior, we are proud of our ability to get it right. 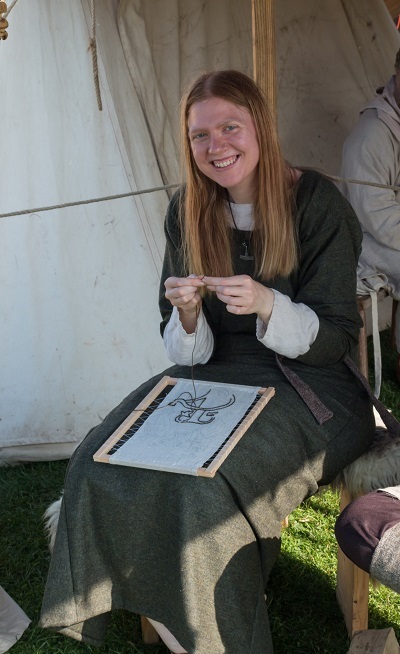 If you already belong to another society, or have joined Regia after belonging to another society, it is recommended that you have your kit checked by your local Authenticity Officer, or you talk to the National Authenticity Officer. This will ensure that you don't turn up to a show and then get told that can't use or wear something. Basic kit and equipment is often available from your Local Group to help members get started, although you may wish to make your own. Your Group Leader, local Authenticity Officer and either your own Training Officer or Civilian Co-ordinator will be able to help you with this. If you really don't want to make your own kit, you may be able to find people who are willing to make it for you at a reasonable price. The cost of basic kit is about £50-60, with about the same again for weaponry if you are a warrior. However, you do not need to buy all of this straightaway; it is usually acquired gradually over your first few months of membership. Obviously if you wish to rise through the ranks you will have to spend more eventually. A fully armoured warrior could cost anything from £400 to more than a thousand to equip, though again this kit is usually built up over many years and it is by no means a requirement of long-term membership. As most of our shows are datelined, you will have to make sure that the kit you have covers the dateline of the show. 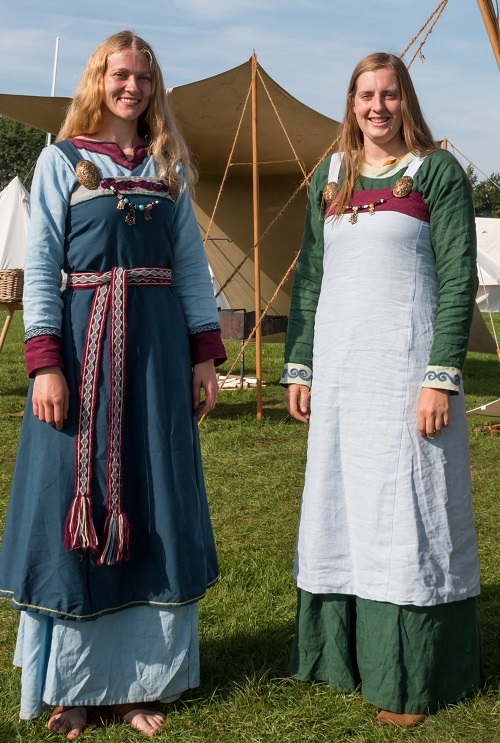 The most basic kit of tunic/dress, trousers, shoes, cloak, waist tie, and head covering for women, will cover you for the whole period, so it is only when you start to make or purchase the more expensive and individual items that you will need to worry. Please get advice before purchasing any cloth, jewellery, braid, leather etc. All colours, designs, and materials must be provenanced. We aim to portray what was “the norm”, rather than the unusual. Nobody likes being told, or having to tell someone, that an item they have spent money on will not be allowed on site. PLEASE CHECK FIRST!